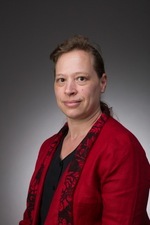 Karen Edler is Professor of Soft Matter in the Department of Chemistry at the University of Bath. Her research focuses on studying self-assembly and the use of amphiphiles to structure other species, to create materials with controlled structures from nm to cm. She uses X-ray and neutron scattering techniques to study formation processes and the final structures for a range of systems from nanodiscs as membrane protein supports, to porous oxides for catalysis and greener formulations for personal care products. Andrew Parry is Professor of Mathematical Physics in the Department of Mathematics, Imperial College London. He uses statistical mechanics to understand all things related to the microscopic structure, and fluctuation properties, of fluid interfaces, including phase transitions such as wetting, filling and capillary condensation, droplet shapes on structured surfaces and capillary emptying among others. Simon's research focuses on using neutron reflectivity and scattering to probe the structure and dynamics of soft and biological matter. Currently he is interested in the physics of bacterial membranes, protein films, virus capsids and chocolate. Away from the lab he is a keen fell runner. Dr. Tom Waigh is a Senior Lecturer in the Biological Physics group of the School of Physics and Astronomy at the University of Manchester. He has written two undergraduate textbooks on biological physics topics, 'Applied Biophysics' and a more modern update 'The Physics of Living Processes' (Wiley 2014). He is an experimental physicist with a wide range of interests in the application of photonics techniques to biology and the modelling of living processes."